Criminals who claim they are innocent, the majority of the time, are in fact guilty. But when you have been accused of a sexual crime you did not commit, it can be hard for people to believe you. Many times, those accusers have a vendetta, or are simply looking for attention. When you have to rely solely on the judgment of 12 strangers, going through the judicial process can be a stressful and terrifying experience. 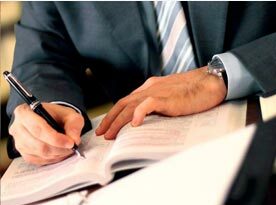 The first thing you need is a solid defense with the experienced and aggressive legal representations of Kajioka & Associates, Attorneys at Law, who will help you clear your name. Additionally, we have included some tips and suggestions to help you along the way. 1) Keep in mind the gravity of the situation. In the court battle, when it comes to a sexual crime, the sides have a back and forth of “he said”, “she said”. This often makes the defendant lax with the lack of evidence, but it is important to not take the situation lightly. Being wrongfully accused does not always mean you will come out on top and it is essential you take the proceedings seriously. Simply because you know you’re innocent isn’t enough. 2) Get prepared. Sexual crime related trials can be wrapped in a matter of days or they can carry on for weeks. Not only do you need to prepare for your defense, but if you hire an attorney, you will need to get finances in order, and arrange personal life, such as work, bills, and other needs. The priority is your defense. 3) Document every detail, no matter how insignificant they seem. 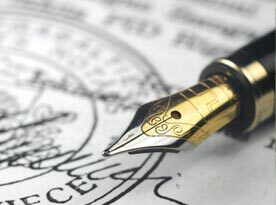 Take some time to write down every detail, no matter how minuscule, in regard to the encounter of the event that lead to your arrest, and other surrounding information. You can help your attorneys prepare for your defense if they know everything. 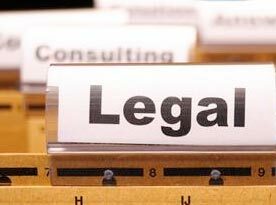 Should you be unsure about any details, record them and your attorney can gather the necessary information. Keep records of your case throughout the proceedings because something important might come to light. 4) Do some research. 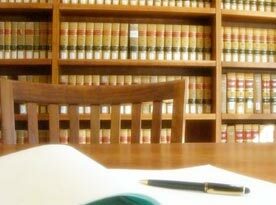 The legal team are valuable assets, but it never hurts to educate yourself on the information regarding your case. Use the resources available to learn the law and read up on similar cases, on both convictions and dismissals. Don’t hesitate to ask questions, your attorney is there to help you. Be proactive! 5) Witnesses. You have every legal right to provide your own witnesses for your case when you are a criminal defendant. Whether they were around during the assault or are character witnesses for both you and the “victim”. Be sure to include personal information; full name, address, phone number, a brief biography, and include what you believe they can offer for your attorney. Additionally, complete a separate list of possible witnesses that might hinder your dismissal. Even if you are at odds on how beneficial one could be, let your attorney determine their value and never overlook a potential witness. 6) Understand your legal rights. Don’t say a word without your attorney present, even if you are explaining your innocence, it could be turned around when being questioned by authorities. You still have a legal right to leave any facility you are being kept if you are not being officially arrested. Afterwards, immediately consult with an attorney to begin your defense. 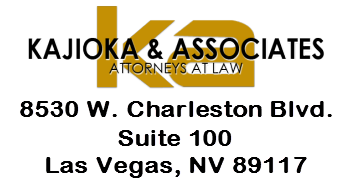 If you have been arrested for a sexual crime, especially if you are innocent, call Kajioka & Associates, Attorneys at Law, for your consultation so we can begin preparing for your defense in the Las Vegas, NV Valley.